This Project is sponsored by the Kentucky Archaeological Survey, Preservation Kentucky, and Preserve America. 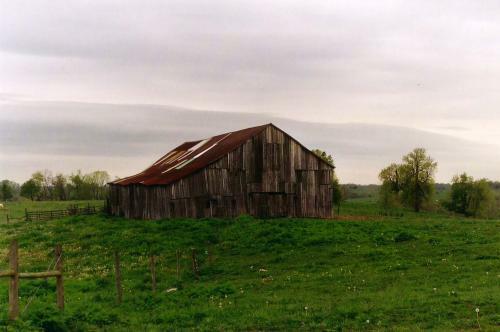 The historic landscapes of rural Kentucky, complete with houses, barns and other structures, tell the story of countless families and their cultivation of the land. Though farming has traditionally been the backbone of Kentucky’s economy, the story of our farming heritage is being lost quickly through subdivision and development, the tobacco buyout, and the flight of younger generations from rural Kentucky. In an effort to document the historic farms of Kentucky, the University of Kentucky and the Kentucky Archaeological Survey have undertaken a survey of historic farms across the Commonwealth. This site seeks to present the the immense breadth of Kentucky’s farming history and recognize how our agricultural legacy has shaped the Commonwealth.